Well, WCSUK is now into its 4th year of supporting women with womb cancer and raising awareness of the signs and symptoms of womb cancer. If you missed our Birthday celebrations on Friday then you might not know about our exciting news! It has been a long time coming but it is now here, thankfully. I had been planning on getting one done last year but due to personal reasons it had to go on the back burner and then before I knew it, our 3rd Birthday was rapidly approaching so I had to get set too and sort something out. It is a work in progress at the moment as I am on a steep learning curve, never having done anything like this before. WCSUK also has a new email address as well which is wcsuk@hotmail.co.uk. Both the new website and the new email address replace the original ones that were set up when WCSUK first started, so I would appreciate if you would amend your contact details for WCSUK. There are new business cards on the way with the new details on - which include our new logo that was designed especially for WCSUK by a local artist here on Isle of Bute. The numbers on the Facebook page have reached over 950 now and the private chat group is over 120. We are slowly reaching out to women who want support - it is very hard for a small organisation like us to be seen and heard but with the help of some of the lovely ladies who are part of WCSUK we are slowly getting there. Please pop over to the new website http://wombcancersupportuk.weebly.com/ and let us know what you think. Remember to keep spreading the word about WCSUK - you never know who may need some support one day. Today marks 3 years since Womb Cancer Support UK was founded and its been an eventful 3 years. We've grow from being a small support group with a Facebook page to being the only dedicated womb cancer organisation in the UK that not only supports women with womb cancer but also raises awareness of the signs and symptoms to look out for. As I mentioned in my last blog post a couple of weeks ago; change is in the air here at WCSUK. Lots of exciting news to tell you about - only I'm not going to tell you just yet! You'll have to come and join us on our Facebook page where throughout the day I shall be sharing all the news with you. 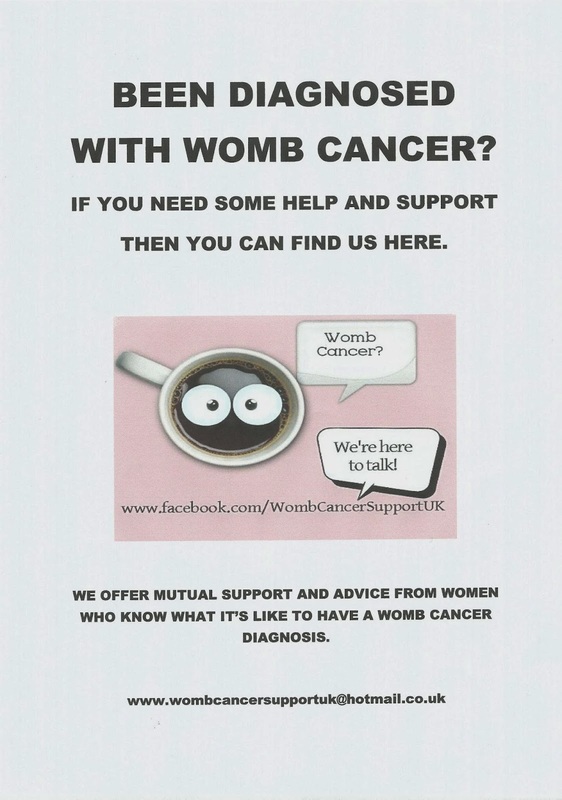 Womb Cancer Support UK was set up in April 2011, initially as an online support group based on Facebook. I started the group because when I was going through my cancer journey I felt very alone and scared. I had very little support apart from my husband and my wonderful Macmillan nurse, Morag. I knew what it was like to be alone when you hear the words from your Consultant "I'm sorry but its cancer". I knew what it felt like having to attend appointments and treatment all on your own. I knew what it felt like lying awake at night after the treatment had ended wondering if the cancer was going to come back. I didn't want other women to go through their cancer journey feeling alone and scared. I had been thinking of setting up a FB page but never seemed to get round to it, but when Debra (a fellow womb cancer survivor who I had met through a US cancer Facebook page) said one evening whilst we were chatting online about the lack of any UK based womb cancer support "why don't you set one up?" that gave me the kick up the bum I needed to finally do it. So, on the evening of 11th April 2011, WCSUK came into being. I asked Debra to help out as an admin on the page and we set about doing what we could to offer support to women who found us on Facebook. That was almost 3 years ago, and things have moved on a lot since then. The main FB page https://www.facebook.com/WombCancerSupportUK now has over 900 likers and it has spawned a private chat group of over 120 lovely ladies. It became apparent pretty soon after starting the page that awareness, or rather lack of it, was something that needed to be addressed. So WCSUK began to try to raise awareness of womb cancer as well as being a place for women to come for support. WCSUK embraced social media and uses Facebook, Twitter, Youtube as well as these blogs, to reach out to as many women as we can. Through Debra, we found out about Dr Ellis at Hammersmith Hospital, who is running a research project investigating the immunophenotype of women aged 40 and under with endometrial cancer. WCSUK has been able to help find suitable women for the project and are hoping that more will come forward and agree to help out Dr Ellis and her team. Over the (almost) 3 years since WCSUK started, it has gone from strength to strength. Both myself and Debra were given an award by One Team One Goal, the worldwide coalition building campaign to unite gyneacological oncology practice and advocacy groups. We both write for Beauty Despite Cancer and I have also writen for other websites including the Saatchi Bill website, lead by Lord Maurice Saatchi which is asking for a change in the law to allow medical innovation. So, you can see that WCSUK has been vey busy, not only supporting the many women who find us but also raising awareness of womb cancer and raising awareness about what we do so that other women who may need help and support can find us. I guess it's inevitable that after 3 years its time for a change. Time to refocus and do a spot of soul searching. After loosing my Mom just before Christmas to a very rare and aggressive cancer, I must admit to having doubts as to whether or not I wanted to carry on with WCSUK. I contemplated walking away but felt that I would be letting all the women down if I did that. So I took some time out over Xmas & New Year to re-evaluate my priorities in life. So, what I have decided? Well you'll have to wait a while to find out but lets just say that WCSUK is here to stay! Raising awareness of womb cancer, indeed any cancer, is one of the main ways we can reduce the numbers or people being diagnosed. One of the ways that WCSUK has done this in the past is asking women to share their story on the blog. In order to continue raising awareness I need your help. If you have been diagnosed with womb cancer then will you please consider sharing your story? It can be about any part of your journey; how you felt when diagnosed; your treatment journey; how you felt when all the treatment was over. If you have a particular issue that you want to share then that's fine as well, as long as its cancer related!! You will remain anonymous - I just use your initials. I've just had my 4th Hysterversary - 4 years since my hysterectomy. That was followed by chemotherapy and then external radiotherapy. So by mid July 2010 I had finished my treatment and was looking forward to getting "back to normal" and getting on with my life. Only it didn't work out that way! Since then, my health has failed to improve and in reality it has got much worse. Apart from suffering with long term side effects of the cancer treatment - cognitive and memory issues as well as fatigue from the chemo and bowel and bladder issues from the radiotherapy; I have also been diagnosed with an epi gastric hernia; an underactive thyroid and lymphedema in both legs. Since mid 2010 I have been struggling to improve my health seemingly to no avail! On a visit to my GP a couple of days ago I was told that my health now is as good as its going to get! 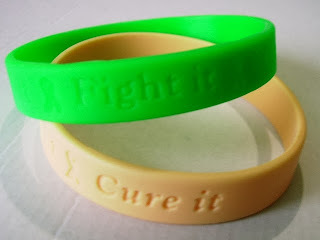 I have blogged before about the lack of information that I feel cancer patients are given prior to their treatment and this is an issue that is constantly mentioned by many of the women in the support group. I know that I am one of a small minority and that the vast majority of cancer patients recover and manage to return to a life of relative normality but I still feel that I wasn't given the full picture about the possible long term side effects of my treatment. In this day and age I think it's time that the relationship between patient and Doctor needs to change. We no longer live in that "them and us" era - where patients are not expected to question what their Doctors say. We have the internet and, if used properly, it allows us to research things and arms us with the ability to find out information and helps re dress the imbalance. we, as patients need to be asking questions. How can we give informed consent for something like an operation or chemotherapy treatment if we have not been fully informed about all the risks and side effects? I for one, regret not being better self informed before I had my surgery and treatment. I was scared and frightened and it never crossed my mind to ask questions. This is why WCSUK is trying to empowering women who are at the beginning of this journey by giving them information to enable them to ask questions of their medical team. Only by being informed about everything can a women truly give her informed consent. One thing that cancer teaches you is that real friends are not always the ones you thought they were! It is a sad fact of life that when you get a cancer diagnosis, you often loose some of the people in your life that you thought you could rely on. Often they are people who may have been in your life for many years and you may even have stood by them through some of their tough times. At times of crisis we want and need people around us that we can rely on, so it can come as a real shock when they disappear out of your life just at the time when you need them most! This doesn't just apply to friends; sadly it can also happen with family members. Why do people do this? I guess we'll never really know the true answer but some people find that they can't handle a cancer diagnosis in a close friend/family member. They may be scared; for you or for themselves. They might think that you don't want them around whilst you are going through your treatment. There are many reasons why but what we need to understand is that we have to let them go and not carry any anger with us as it sure won't do us any good. Just as we may find that people we regarded as friends leave our lives we also find that some people who we may know but only as acquaintances, become much more than that during our cancer journey. We may well forge new and lasting friendships, often with people we would never have expected to. Sometimes however, we loose more than just friends. Occasionally, marriages break up because of a cancer diagnosis as one partner finds they can't cope with cancer being part of the marriage. A husband may find that he no longer finds his wife attractive after she has undergone say, a mastectomy for breast cancer or a wife might find that after recovering from cancer she wants more out of her live that just being a housewife. Cancer affects many more people that just the person with the diagnosis and it can take time to find a new normal, a new balance in life. When treatment has ended, a cancer patient finds it very hard to slip back into their old way of life. Your whole perception of life has changed. Things that you once took for granted or things that you once thought important, no longer mean the same. Family and friends often find it hard to accept the new "you" and it can cause friction and fall outs. In the end however, we have to do what is right for us. It's no good fighting and surviving cancer if you are going to spend the rest of your life doing something just to please other people. It's like being given a second chance at life and this time you're not going to waste in - you're going to make the most of every minute of it. Those who care most about you will understand that and will be there to cheer you on. We found out that WCSUK has been nominated for an award for the best Facebook presence in the Health Activist Awards run by WEGO Health, a platform for health advocates to foster new relationships, gain access to helpful resources, and to grow their communities. Fantastic that someone (we were nominated anonymously apparently!) thought that WCSUK deserved to be recognised for the work we do. Thank you whoever you are! You can endorse our nomination here https://awards.wegohealth.com/nominees/womb-cancer-support-uk-1525 by clicking on the purple bar under the ribbon! Please share the link around as it would be lovely to think we might stand a chance of winning this award. It would help us be seen by so many women and some of them might need some help and support. Since WCSUK started back in April 2011, the private chat group has grown to over 100 women who support each other through the tough times, and are welcoming and supportive to all new ladies who join the group. However, WCSUK is more that just the private chat group. The main FB page https://www.facebook.com/WombCancerSupportUK is the focus of what we do. From here we share information; raise awareness and network with other organisations. There are now over 840 on the page and the numbers are growing all the time. Hopefully the exposure WCSUK gains from this nomination means that we can reach even more women who are going through a womb cancer diagnosis. With your help as well, we can say that "No one fights alone". As we reach the end of 2013, its time to look back over the past 12 months. We started of the year by being honoured with the One Team One Goal Advocacy Champion Award(Europe). It was for playing our part in the global coalition-building campaign that unites all gynaecological oncology practise and advocacy groups in signing and supporting the Union for International Cancer Control (UICC) World Cancer Declaration. In June, we became a member of Cancer52, http://www.cancer52.org.uk/ an alliance of 60+ small cancer organisations who offer support and advice for the less common cancers. It is hoped that by joining forces, all of our voices will be heard as we seek to address the inequality and improve outcomes for patients. In September we held our 1st get together. A group of around 20 women who are part of the private chat group on Facebook got together for a weekend of awareness raising and general "getting to know" each other. Most of us stayed in the same hotel and on the Saturday, we held a photo shoot at a local landmark known as the "floosie in the Jacuzzi". The awareness raising continued, as always, through the year. New ladies have joined the main page and the number of likers now stands at 837 with 115 in the private chat group. We are reaching out to ever more women and are there to offer to mutual support and advice. The private chat group is a confidential haven for the women to talk in complete privacy about things; and we constantly hear from the women how much they value this space. 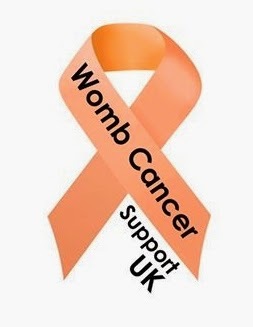 WCSUK is constantly networking with other cancer awareness groups and as many other organisations as we can in the hope of raising awareness of womb cancer. Both myself and Debra were very pleased to be asked to become part of the team of writers for Beauty Despite Cancer http://www.beautydespitecancer.co.uk/blog/ the wonderful website run by Jennifer Young. I have also had the privilege of writing a blog for the Saatchi Bill website http://saatchibill.tumblr.com/ about how innovation can help womb cancer. So, as we look forward to 2014 and our 3rd Birthday in April we can reflect on another good year of raising awareness about womb cancer and more importantly, doing what we set out to do in the first place; offer support and advice to women who are going through or have been through a womb cancer diagnosis. I was alone in the house, and heard the voice of my gynaecologist down the phone explaining to me that the results of the MRI scan I had recently had indicated that I had endometrial, or womb cancer.In that moment, I stepped aboard the cancer rollercoaster – and I’m still on it 4 years later!! Surgery, chemotherapy and then radiotherapy followed and then I looked forward to getting back to normal – but I soon realised that there is no “normal” and my health would never be the same again.I look around me now and see women within the womb cancer support group who, although having to cope with the side effects of their treatment and the hormonal consequences of going through a surgical menopause, are getting on with their lives. They are back at work; going on holidays; getting on with life! All the things I want to be able to do! I used to love going camping and walking around the lovely island I live on, off the west coast of Scotland.Four years down the line, my health is worse now that it was when I was diagnosed. Apparently, I am one of the unlucky ones! Since my treatment ended I have been diagnosed with severe depression; an epi gastic hernia; an underactive thyroid; lymphedema in both legs; I have bowel and bladder problems as a result of the radiotherapy; cognitive issues and memory problems as a result of the chemotherapy; I also have severe fatigue due to not sleeping properly. To say I am a little p****d off is putting it mildly! It sometimes feels that having cancer was the easy part – it's dealing with the after effects that is hard work. I know I’m not the only one who is having to deal with this; but it sometimes feels like it. Trying to explain to family and friends that just because I no longer have cancer that doesn’t mean that everything is ok! Living on a small island also means that medical and aftercare facilities are very limited so most appointments involve going to the mainland, which in itself is tiring and only adds to the problem. Another in our series of stories by women who are part of WCSUK. "My Journey started 2 years ago; seems like a lot has happened in those two years The lead up to the start of the journey started on 7th October 2007, my birthday, when I suddenly had a bleed after not having anything for 12 months. I thought this was normal because I did go to the doctor and explain it. I was 52; he said it was menopause and would finish soon. That bleed did stop as suddenly as it started. The months rolled on and sometimes I had a little spotting, some months nothing. Then suddenly again I started to get really heavy losses, very frightening and draining. I also started having heavy discharges which meant I needed protection every day. I was prescribed iron tablets and Tranexamic acid. The last heavy loss I had was in October 2010; we were going out and as I stood up to go out the door and had the biggest flood you could imagine, it was all over the floor. It happened 3 times that night. I didn’t go out. I did go to the doctors again and told him I had no quality of life left; I couldn’t go anywhere. He still said it was menopause but as I was 55 he would do a blood test and a scan. The scan came back inconclusive; he said it didn’t show anything sinister up - that word has come back to haunt my thoughts many times since. He changed his mind in a matter of seconds and said I think I will send you for a Hystroscopy. I was bleeding continuously; not heavy but mixed with the discharge it was quite uncomfortable. This appeared to gather momentum between waiting for hysteroscopy and I appeared to be loosing cells and unidentifiable things, usually at weekends when doctors was closed. I did try to harvest some of it but it never happened at the right time. I hadn't told anybody in the family up until that point so it was confession time. My husband came with me for the hysteroscopy. I was terrified. I have a major fear of needles and apart from the odd broken arm and twisted ankles, I had never been in hospital to stay. I don’t remember much about the hysteroscopy but I will never forget coming round from the hysteroscopy and the surgeon was at the end of the bed; her face said it all. She said it wasn’t what she expected to find and said she would see me the following Tuesday. She gave me a card with an appointment on and disappeared. I was then given a box of needles and told I would have to do them myself. It was never going to happen, so I had to have district nurse reluctantly do it. Tuesday took ages to come round. Off we went with a heavy heart to the maternity hospital for the results. She didn’t try to wrap it all up - she just said "we have found Cancer". It was at that point all the walls fell in on top of me. She left me with the CNS to try and explain what was happening next. She gave me a load of paperwork and some food to take before op. The day of the operation came round too soon. The bit I will never erase from my memory was the 4 or 5 people round me trying to get somewhere to put the needles in. They were cutting my stockings off trying to stick them in my ankles; the back of my hand; inside of my arms. I was so scared. The operation itself was not as bad as I imagined it was going to be; my first thoughts on coming round were "they haven’t done it" - you hear of people being opened up and being too ill to be operated on, I thought I was one of them! I spent 4 nights in hospital with my little card telling me what I should be doing and when day 2 came I could get up so I did; that made me feel a bit sick so I got told off for that. Decided I wasn’t a good judge so just waited till I was told what to do! I was up on my feet on 3rd day. I left hospital on day 4 with another 2 carrier bags of needles and was seriously bullied by the nurses to do this myself - another battle of wills which again I won. I had to trek up to the Dr's every day for the injection. The appointment came round for the results of Hysterectomy. This was another shocker - the Cancer had spread to the outside edge of the womb. I know that because the CNS did a drawing and told me I would need further treatment. She said I would probably need radiotherapy which they do for 5 days. I stupidly thought that would either be 1week Monday to Friday or once a week. When I went to see the Oncologist he told me I would be having 25 lots of Radiotherapy and 2 Brachytherapy. I was stunned at the 25 radiotherapy and had never heard of Brachytherapy. He then told me I had to go for a CT scan and have marking tattoos. I was just wondering when it was all going to end - it seemed to be on a banana slide getting worse and worse. I was then told it had a 25% chance of coming back. I knew so little about my illness and having not spent much time at hospital, I didn’t know anything about CT Scans and was stunned that you need yet another needle for that. I couldn’t stand anymore needles. I needed some Emla cream to numb the area; so off we went for tattoo and Radiotherapy. Thinking at least it will soon be over; just 5 weeks and its all going to be done and dusted. God how stupid was that? I've realised now it will never go away it will be always hanging over me. 2 weeks from finishing the radiotherapy, the Oncologist called me in for what I thought was a review. He dropped a bombshell that he had found enlarged lymph nodes in my chest. He was convinced it was a spread of Cancer and had arranged for me to go to hospital in Birmingham to have a lymph node biopsy via bronchoscopy. More worrying and waiting! The result of that was no Cancer was found - what a relief.!!! But no, the oncologist wasn’t happy and opted for 12 months of comparison CT scans, which meant more needles. They all came back clear - Phew! I can breath a sigh of relief now! Well no; the last CT scan showed a blood clot on my lung. So yet more needles and warfarin brought this sorry tale to a rocky conclusion in June 2013." Sometimes you hear some cancers referred to as a "good" cancer or a "bad" cancer - it seems my cancer, womb or endometrial, is regarded as a "good" cancer because if its caught early, as mine was, then its treatable and the long term survival rate is very good; around 80% will survive the magic 5 years! Other cancers are not so good. Some are quite aggressive and not very easy to diagnose until a much later stage, meaning that the long term, even the short term survival rates are very low! Getting a cancer diagnosis is often a hard thing to accept and patients often spend ages agonising over the "why me?" question. Imagine how much harder it must be to have a much loved family member get a diagnosis - especially when the diagnosis is of a rare, aggressive and possibly inoperable "bad" cancer! Cholangiocarcinoma, or bile duct cancer is rare, with around 1,000 new cases each year in the UK. The outlook is apparently not very good, as its rarely diagnosed at an early stage so by the time it is finally diagnosed the outcome is very poor and its usually inoperable. The feeling of helplessness that I feel as this cancer takes hold of someone I love is very hard to deal with. Knowing that the outcome is far from being a positive one makes it even harder to bear. As with all cancers, the answer lies with awareness and research. Hopefully this will mean that less people will get this type of cancer and those that do get it will have a better outcome! Might well be a bit late for my Mom but while we have hope, there is always a chance! 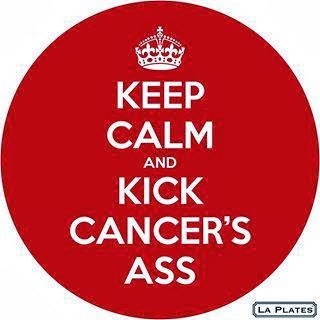 Sorry for the language but let's face it, there isn't really any thing nice to say about cancer, is there? Getting a cancer diagnosis hits you like a brick in the face; it turns your whole world upside down in a split second - those words "I'm sorry, but its cancer" seem to hang in the air for far longer than they should! Being diagnosed with cancer is probably one of the worse things that can happen to anyone - ask most people and that would be their number one fear! It puts you on a rollercoaster that never seems to stop. Having been there and done that, so to speak I thought I was toughened up by cancer, but sadly not. There is only one thing worse that getting a cancer diagnosis - and that's having a close family member be diagnosed, especially if its a rare, seemingly inoperable cancer! That's what has happened to me this week. I felt like I had lost control of my life when I stepped aboard that rollercoaster nearly 4 years ago but its even worse now. To feel so helpless and unable to take away the pain is unbearable. I would rather go through it again myself than see someone I love go through it. There will be dark days ahead, and many trips on that rollercoaster for everyone in the family, but we will get through this. I just wish cancer would f**k off and leave us alone. Womb Cancer Support UK started back in April 2011 as an online support group for women with womb cancer. As a womb cancer survivor I realised that there was very little specific support out there for women going through womb cancer, so I started an online support group. Based on Facebook with a main page and also a private chat page we have slowly grown and now there are over 870 on the main page and 117 in the private chat group. But we are more than just a support group. It soon became apparent that there was very little out there about womb cancer - indeed many of the women who are in the group had said that they had never heard of womb cancer before they got their diagnosis. So we began to raise awareness as well as offer support to those women who had been diagnosed. We are raising awareness of the signs and symptoms in the hope of getting other women to be womb aware and know what to look out for. One of the ways we do this is by encouraging women to share their story by writing for our blog. We have featured around a dozen stories from womb cancer survivors - women who bravely shared their stories in order to help raise awareness. We are also on Twitter and network with a lot with other cancer charities and support groups to help raise awareness of womb cancer. If you are going through womb cancer, or know someone who is. then please feel free to come and join us. There is strength in numbers and we need to raise the profile of womb cancer so that there is the same level of awareness about it as there is for other female cancers. Our motto is - No one fights alone! I had started this blog last weekend but didn't find the time to finish it but was pleased to see that another blogger, Chris Lewis from http://www.chris-cancercommunity.blogspot.co.uk/ had picked up on the subject. I scrapped the original blog so here is a brief summary of what I would have said - please pop over and read Chris's blog for a much more eloquent article. He writes so well and I would urge you to follow his blog as it's very good. In a brief article that Jennifer Saunders, of Ab Fab fame had given, she apparently said that some cancer patients wear their cancer like a badge! She was quoted as saying "You get so much attention and, if you’re not used to that, I bet it can sway you a little. I’m used to it. My job gives me the attention I’d otherwise crave. They must be so p****d off when their hair grows back"
Now, as you can imagine, this didn't go down too well with the ladies in WCSUK!!! Comments ranged from "insensitive", "cruel", "smug" - fair to say that many of the women were not impressed with her attitude towards fellow survivors. She may think that some cancer patients/survivors like the attention they get but I've yet to meet one who does!! It would seem that she needs the attention at the moment - she's got a book to flog!! !